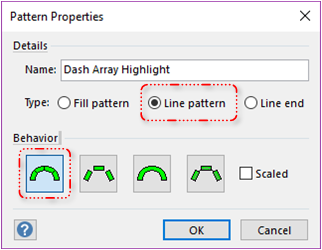 Recent adventures with HTML, SVG and CSS have led me to create a new Visio SmartShape that will help you to easily define dash patterns for custom line patterns! I have been experimenting with Visio and its SVG export over the last few weeks (search this site for SVG.) As with most research endeavors, I inevitably ended up watching loads of YouTube videos on html and svg, yada, yada, yada. I was amused at how easy it was to establish a pattern of dashes and spaces, just by using numbers, separated by spaces. I also found it pretty cool that you can so easily change the look of SVG vector graphics via CSS styles. The system then creates a dashed line where the lines and spaces have the relative lengths defined by the numbers. It worked, as you can see above! Now, defining a custom line pattern in Visio can be as simple as drawing a few rectangles and leaving spaces between them (plus a bunch of other steps). But I wanted to create something that was as simple as stroke-dasharray–something that saved you a lot of steps, and a bunch of math! Yup, just select the shape, type some numbers and spaces, then copy the thing into a pattern master container. You can then apply it to any line in your diagram! 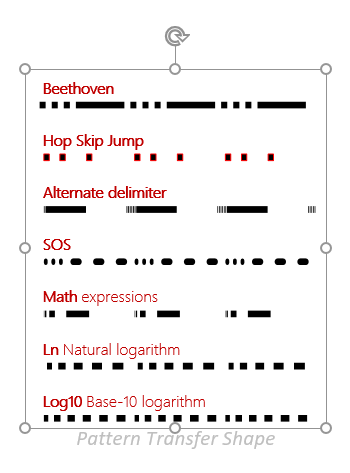 Did you recognize the rhythm from the opening of Beethoven’s Fifth Symphony? Or the Morse-code for “V”? The shape lets you add up to 10 line-segments and 9 spaces, although you usually want to end with a space if you start with a line. Inside the shape’s ShapeSheet, a bunch of calculations are done to divide the width of the shape into segments that match the pattern that you specify. If you type in too many arguments, the text will turn red, but the shape shouldn’t react in any adverse ways. Note: since a dash-array is all about proportions, “1 2 1” will give you the same result as “400 800 400”. You can turn off the text. This isn’t super-important, because when you dump the shape into a line-pattern master, the text is ignored. But you may want to look at your pattern “in peace”, so to speak. You can still edit the text when it is hidden: just double-click the shape, or select the shape and press F2, or select the shape and just start typing. 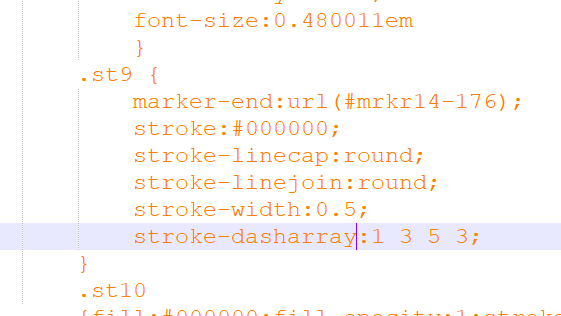 Custom line pattern definitions can have a fill color as well as an outline color. When you apply the pattern, anything that is black in the pattern definition will take on the line color. So if you have a fixed outline color, you won’t be able to change that when it’s applied to a shape. Also, the weight of the outline may obscure the filled parts of the pattern when applied to thinner lines. 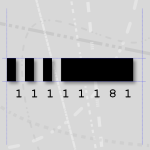 In principle, custom line patterns should have no outline. See pattern 2 Hop, Skip & Jump in the examples above to see an outlined line pattern. You can easily swap the space and dash portions of the pattern by right-clicking or flipping the Inverted Shape Data field. Look just below pattern 2 Hop, Skip & Jump to see an example of an inverted pattern. Example pattern 4 SOS above, has rounded dashes, which look pretty cool, in my opinion! You can choose to have a custom delimiter, if you don’t like the space. Maybe 1/2/1 is easier for you to type or read. Built-in choices include: space, slash ( / ), and vertical pipe ( | ), but you can type in any delimiter that you want, and it should work. So once you’ve created a new dash array, how do you create a custom line pattern that you can apply to your Visio shapes? Set the Pattern Properties in the dialog that pops up. Enter a name, choose the Line pattern radio button, and choose the Behavior that you want. Generally, the left-most icon, which is the default, is the best choice. Paste your shape into that window, then close the window. Did you notice that I used may own custom line pattern–made with this shape–to highlight areas of the screen shot? Once you’ve created a custom line pattern, you apply it to shapes in a similar fashion to using any of Visio’s 23 built-in line patterns. 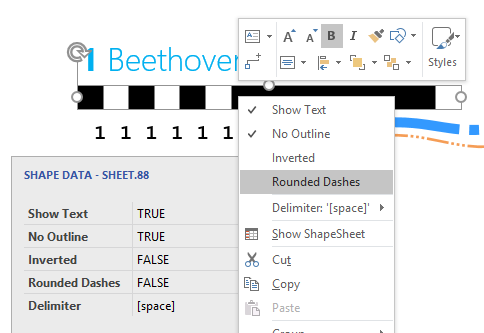 Press F3 to show the Format Shape panel, if it is not already showing. Alternatively, right-click a shape and choose Format Shape at the bottom of the context menu. Scroll to the very bottom of the Dash type list. 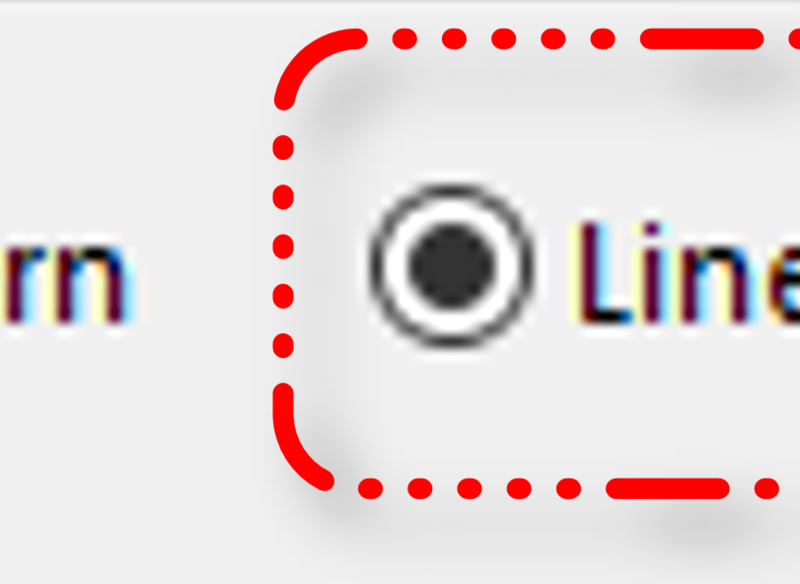 Custom line patterns are listed by name at the end of the drop-down list. 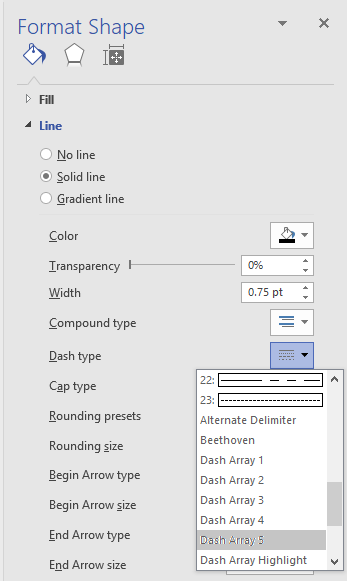 Note: custom line patterns don’t show as a preview in any of Visio’s UI. And they don’t show up in any of the short lists that you can use, such as on Home > Shape Styles > Line or when right-clicking a shape and using any of the formatting shortcut menus. 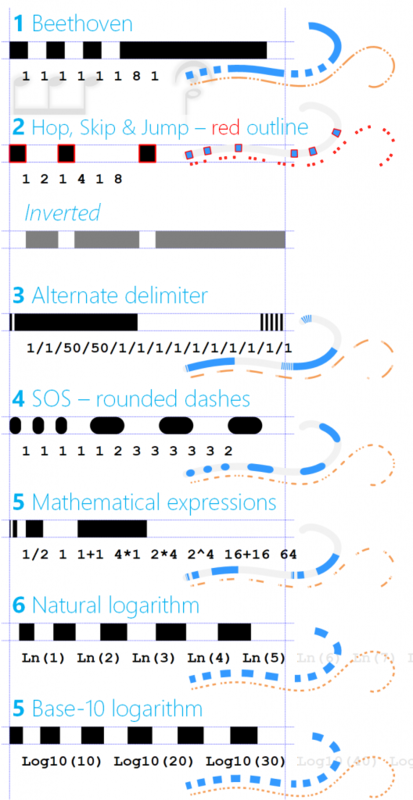 Custom line patterns are stored as hidden masters inside of the Document Stencil. The Document Stencil is a local repository of masters that have been added to a document. These masters can be used on any page within the document, and the don’t require the original stencil from whence they came. 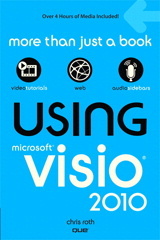 This allows Visio documents to be portable. You can send just a drawing file to a coworker, without including stencils that they might not have–the masters you’ve used have been copied to the local Document Stencil! When you apply a custom line pattern to a shape, the line pattern master becomes “referenced”, so to speak. If you then copy the target shape to another drawing, it will bring the pattern master along with it. You won’t see anything happen, unless you are monitoring the Drawing Explorer. So you don’t need to explicitly and manually copy pattern masters from one document to another. 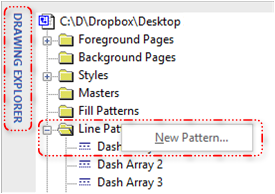 When you use the Dash type drop-down in the Format Shape dialog, ALL custom line patterns in all open documents are available. 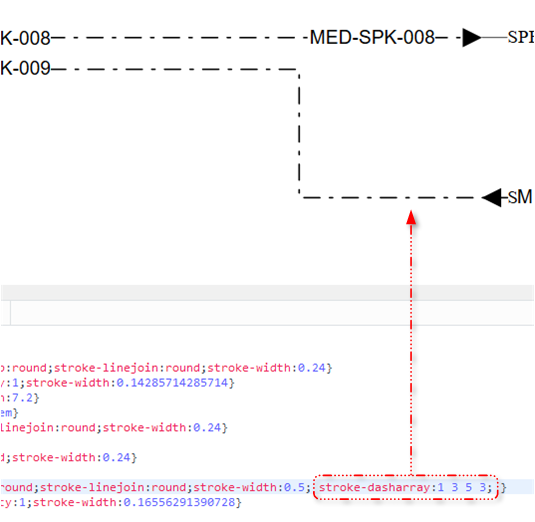 So just leaving a “source” document open makes it easy to access a set of custom patterns. You can even make a “pattern stencil” and save it to Shapes > More Shapes > My Shapes. One way to do this: delete all the pages and page-content in a copy of your source drawing file. Delete all local masters in the Document stencil, but not the pattern masters! (Hint: go to: Shapes > More Shapes > Show Document Stencil, then delete all of the masters.) Then, just save the document as a stencil, instead of as a drawing file. You can save it to your My Shapes folder, which is located at: %userprofile%\Documents\My Shapes, and the stencil will be easily accessible from any drawing you edit in the future. 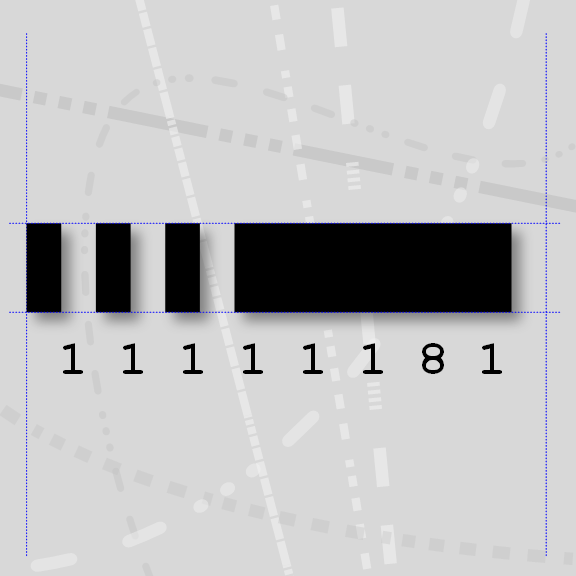 Draw a bunch of straight lines, and apply each of your custom line patterns to a different line. Select the lines and group them together (grouping shortcut: Ctrl + G). Now you can copy and paste this shape into any drawing, and all of the custom patterns will come along for the ride. Better yet, add the pattern-transfer shape to one of your stencils (perhaps located in My Shapes), and you can access the pattern-transfer shape by opening a stencil, and dropping the master onto a page. Then you can close that stencil, as it won’t be needed any more, and you can delete the pattern-transfer shape, too! The custom pattern masters have been copied to the Document Stencil, so you don’t need the shape anymore! Or, you could just leave the stencil open, and all of its custom patterns will be available to all open documents–no need to drop the pattern-transfer shape into the document. Keep in mind, a well-built pattern-transfer shape can serve as a legend for complex drawings that use lots of custom dash arrays! This is exactly what I need for the project I’m working on.